I have many many things to be thankful for, but today I’m singling out a particular part of my life that I am so, so thanksful, and lucky, to have- my horse, Cochise. Cochise was a thirteenth birthday gift from my parents. Well, we didn’t officially buy him until a few months later, but around my birthday was when I started leasing him as a trial. As of this November, Cochise has been with me for half my life. Cochise was still fairly green when I got him. 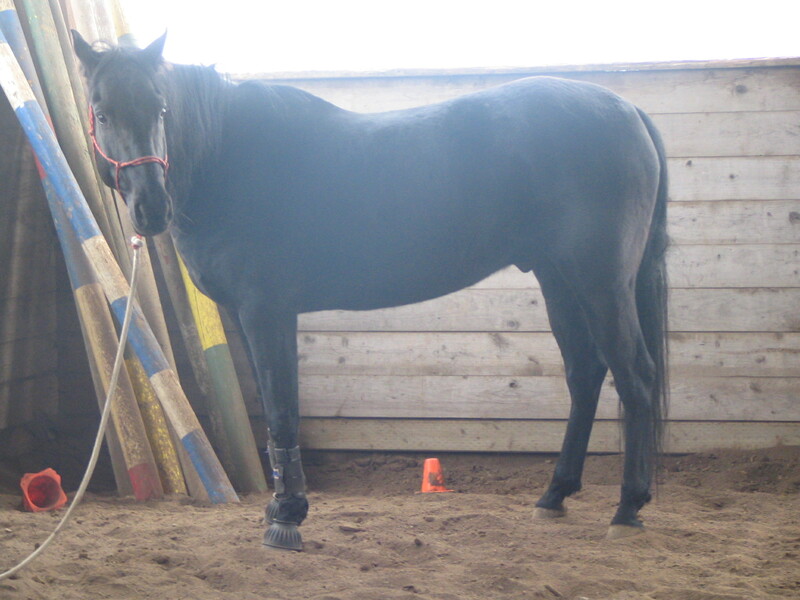 Looking back, I can’t believe my trainer allowed us to buy him, with his level of training and me being advanced novice. I’d been riding for almost four years, but I’d never done any real training. The second and third days I rode Cochise were the first and second times I ever fell off too. I was very lucky to happen into a Natural Horsemanship trainer who helped me learn how to work with Cochise is a more constructive manner. 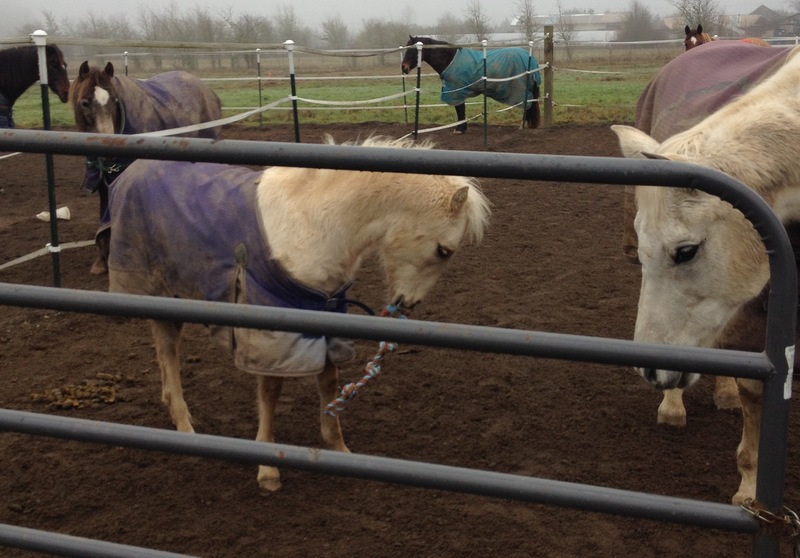 He was an anxious, uncoordinated, and grumpy horse. 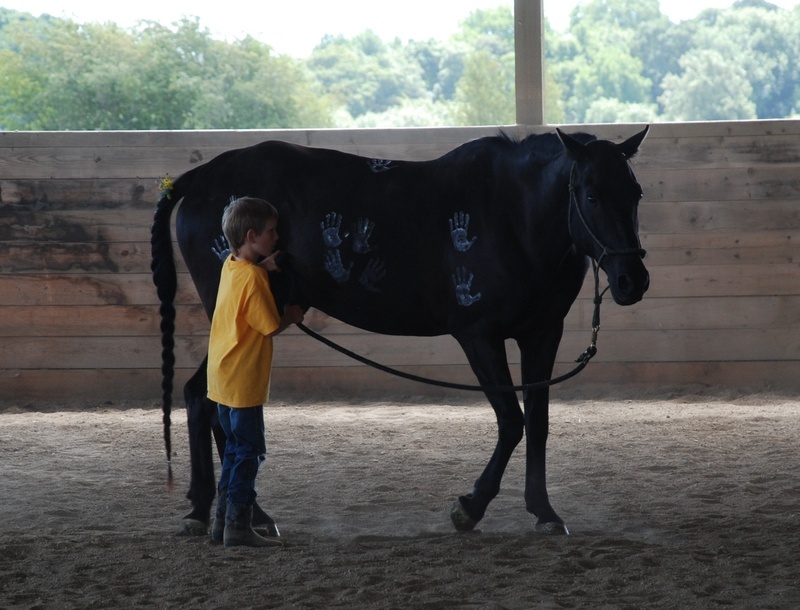 But he was also sweet, smooth, and trainable. 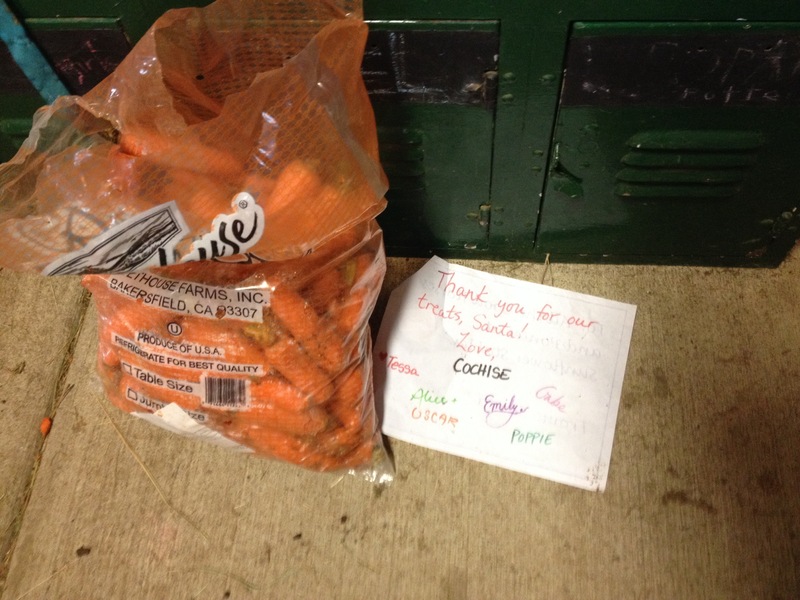 Cochise was and is a very quirky, opinionated horse, but we learned together and formed a great partnership. Throughout high school, I rode almost every day. 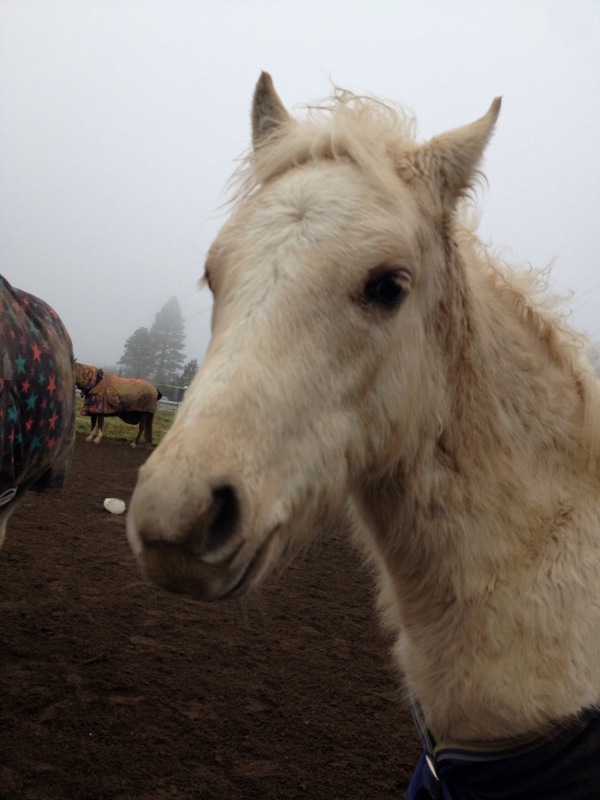 I met my best friend Robyn through Cochise- she leased him before she bought her first horse. 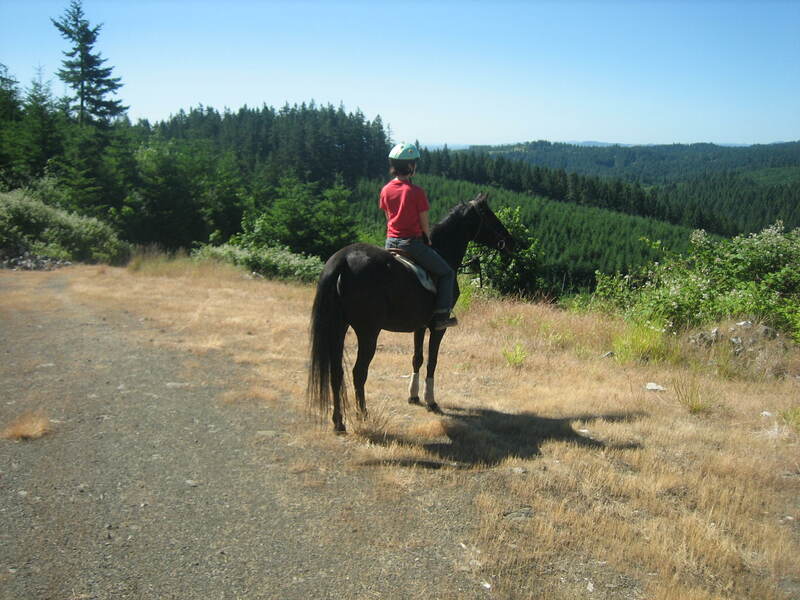 Once she had her own horse, we often rode together. One of the things I am most thankful for is that I never had to choose between attending my first-choice college and keeping my horse. 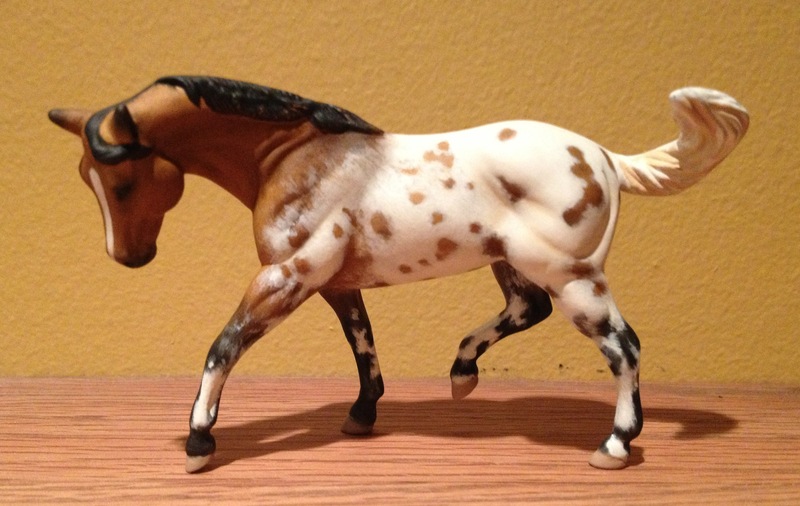 I would have been heartbroken to sell Cochise- I don’t think I ever could have done it. Luckily, Robyn was starting her lesson teaching business just as I was leaving for college. 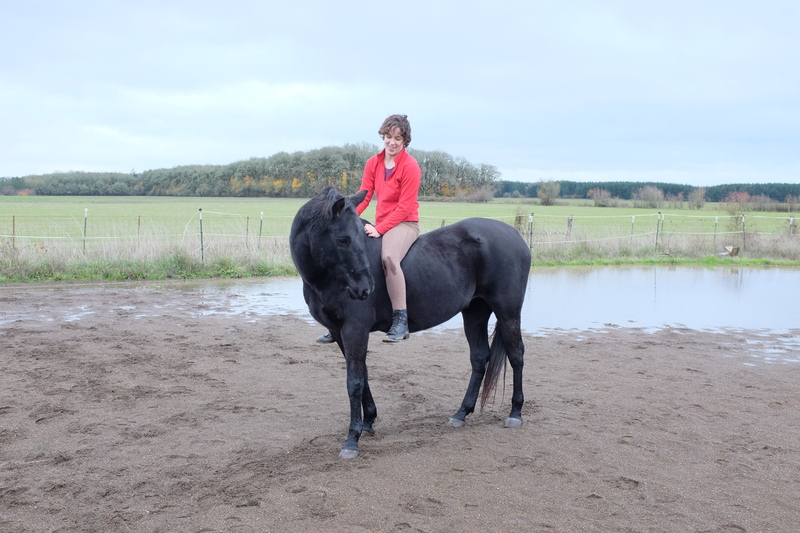 Cochise, having come leaps and bounds since when I first got him, became a lesson horse. 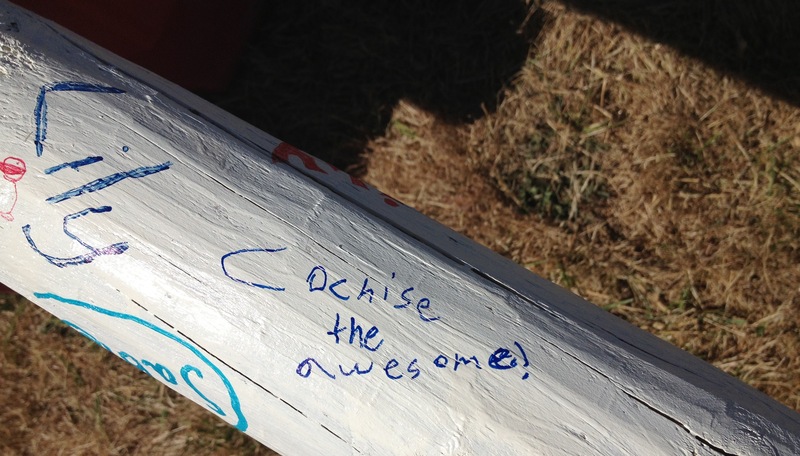 Cochise is a great lesson horse. He will baby the littlest riders and challenge the more advanced riders. 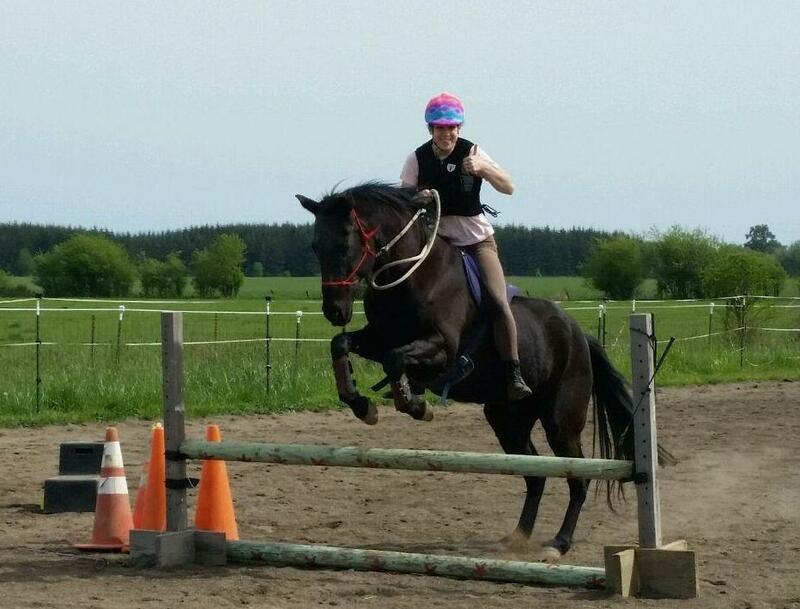 He’s safe and fun but makes a rider work- and learn. And best of all- he loves it. He gets to stay at home with his herd and be doted on by hordes of children. 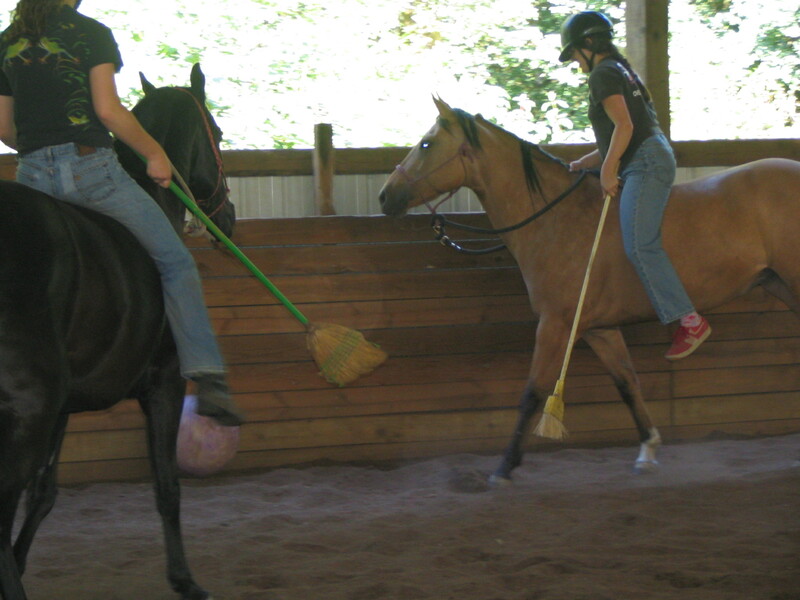 It’s the perfect job for a horse who is fantastic and versatile, and thrives on a routine. Ever time I came home from college I would get to visit Cochise, and he was always happy to see me. 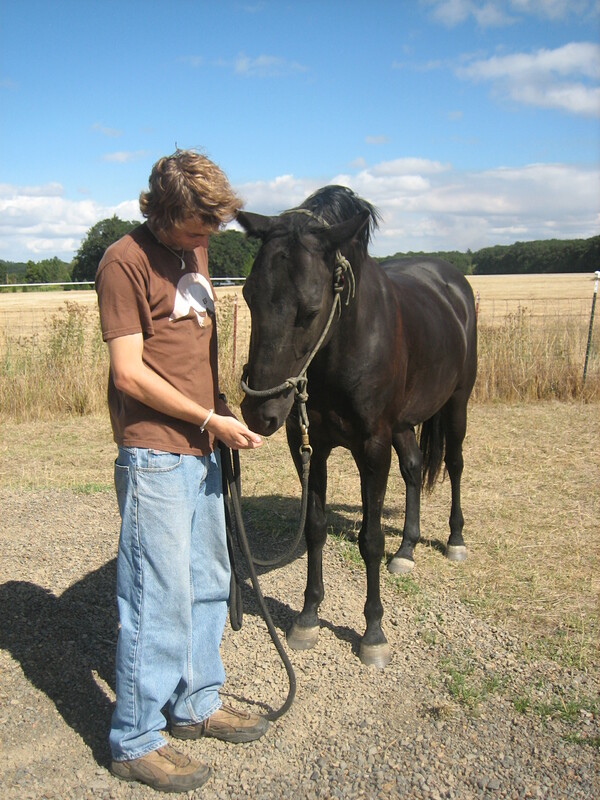 After I graduated college, I continued to visit Cochise whenever I could. And he continued to teach children. Whenever I visited we would pick up where we’d left off. 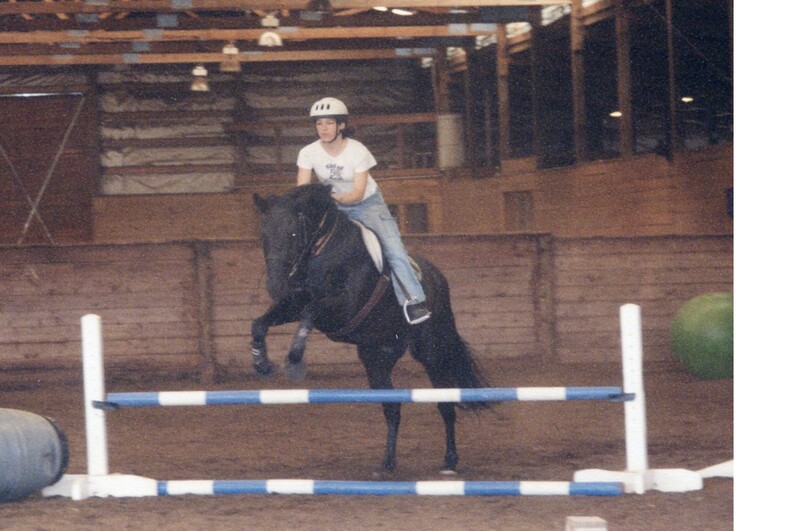 For a year Robyn and I took jumping lessons together. 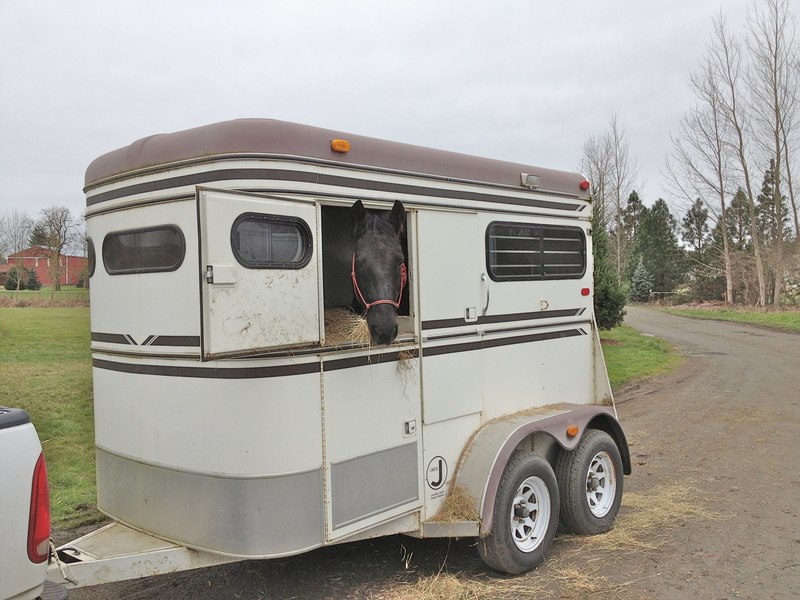 I would drive down once a week and we would load the horses up for the short trip down the road to our trainer’s barn. 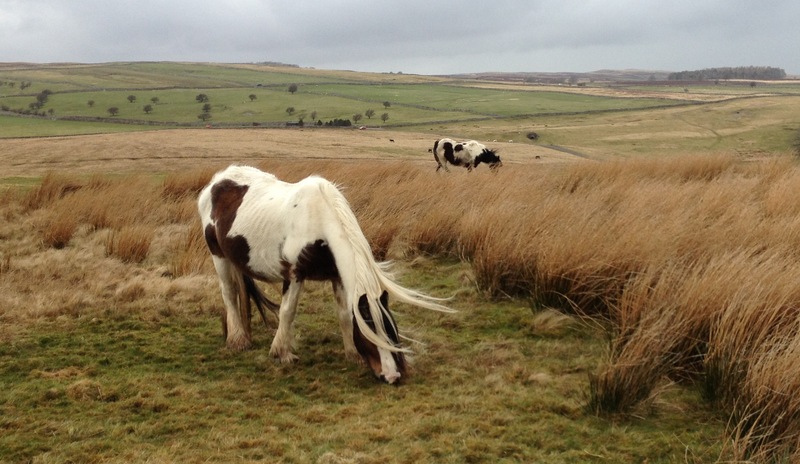 Unfortunately, driving an hour and a half each way to ride was not a sustainable plan. Plus, much as I loved Cochise, our goals were diverging- he was getting older, with a bit more arthritis, and still stressed a lot over going to new places. 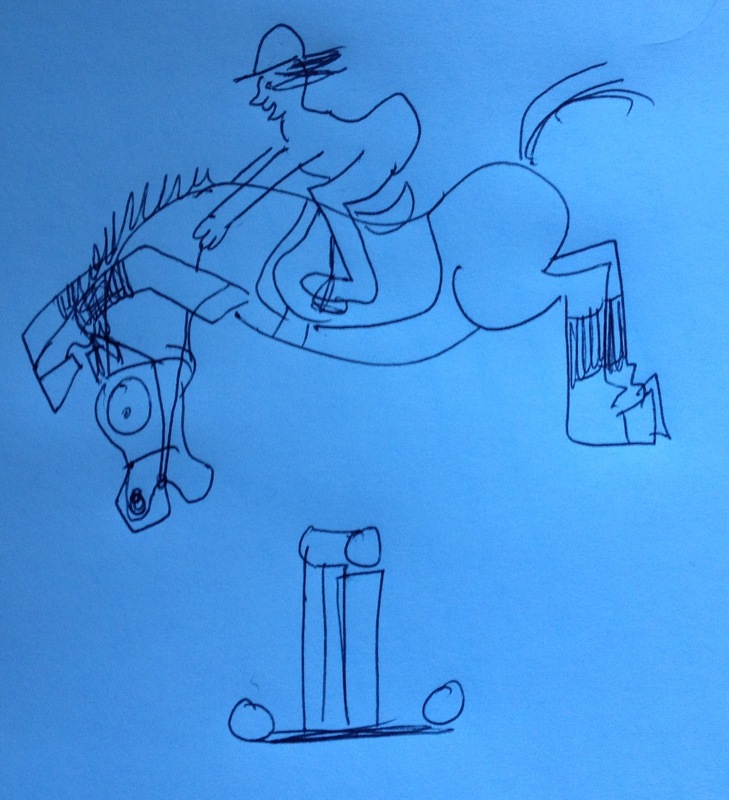 Meanwhile I was dreaming of more jumping, and eventually eventing. 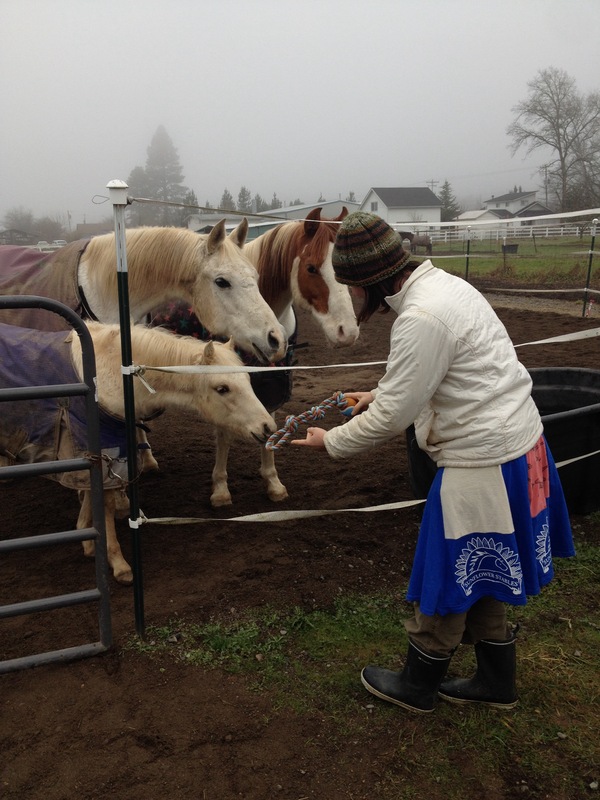 So I decided to start riding nearer to home, and Cochise stayed at his perfect home, teaching lessons and continuing to lord over a growing herd. I am so thankful that my horse-my best friend-has such a wonderful place to be and thrive. 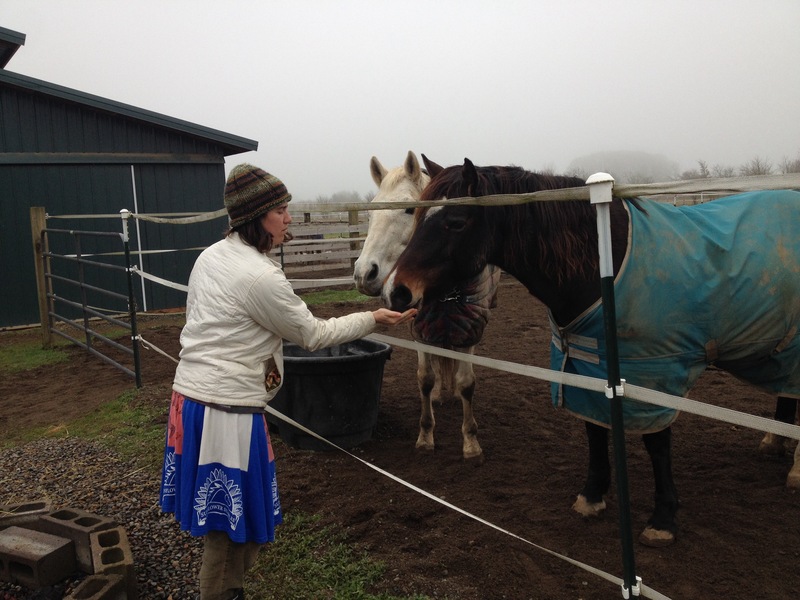 Robyn has given Cochise the best of care and the finest life a horse could want- lots of time outside being a horse, a job to do, and plenty of doting attention. I miss him, but it’s wonderful to know that I can visit anytime I want, and that Cochise is happy, healthy, and has a forever home. 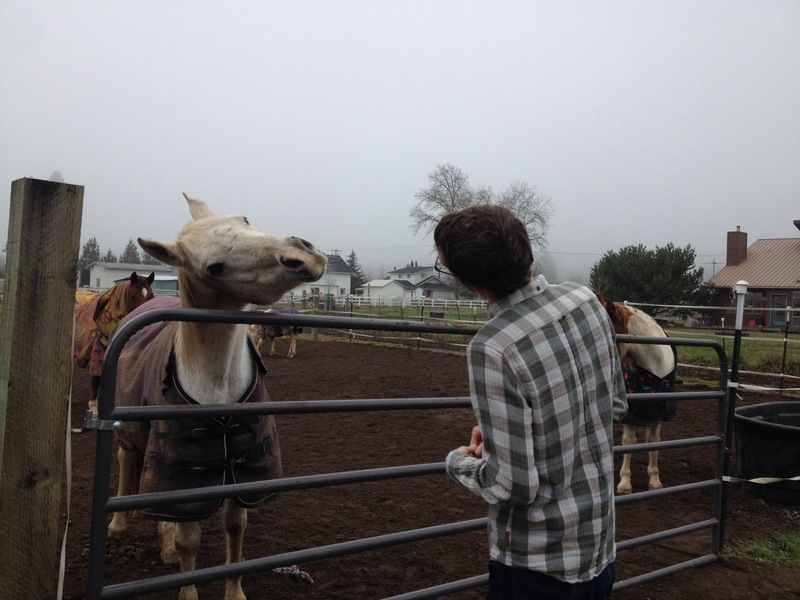 We spent a lovely holiday with my family and today we headed out to the stable to visit Robyn’s family and the horses. 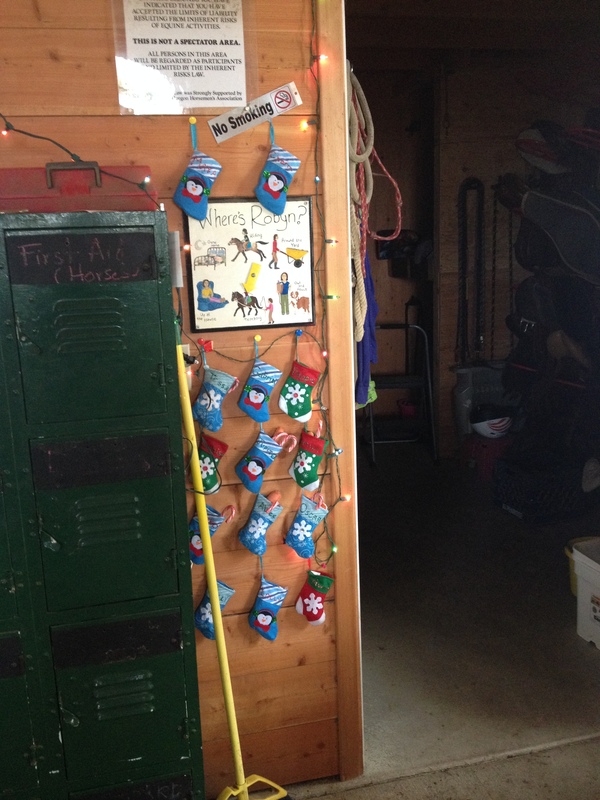 The barn is always very festive around the holidays, with lights strung up and fir boughs on all the stalls (except for Hwinn’s stall, because she ate hers). 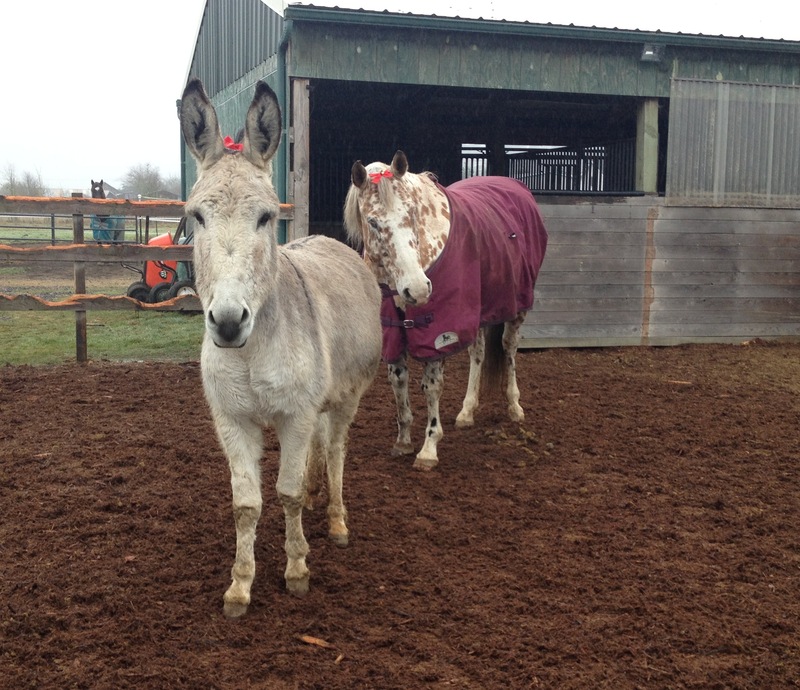 The newest boarders, Lolly and her guide-donkey, Jelly, wear their festive hair ribbons. 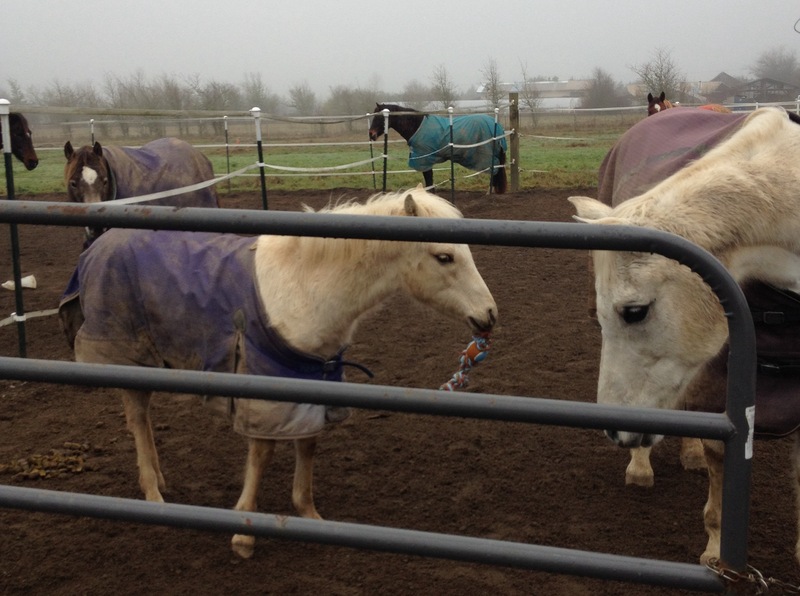 All of the horses got peppermints in their stockings, but Little Oscar also got an extra special present- a new rope toy! He liked it very much. His “uncles” were intrigued, but were really more interested in the pepperments we had. Please can I have another peppermint? 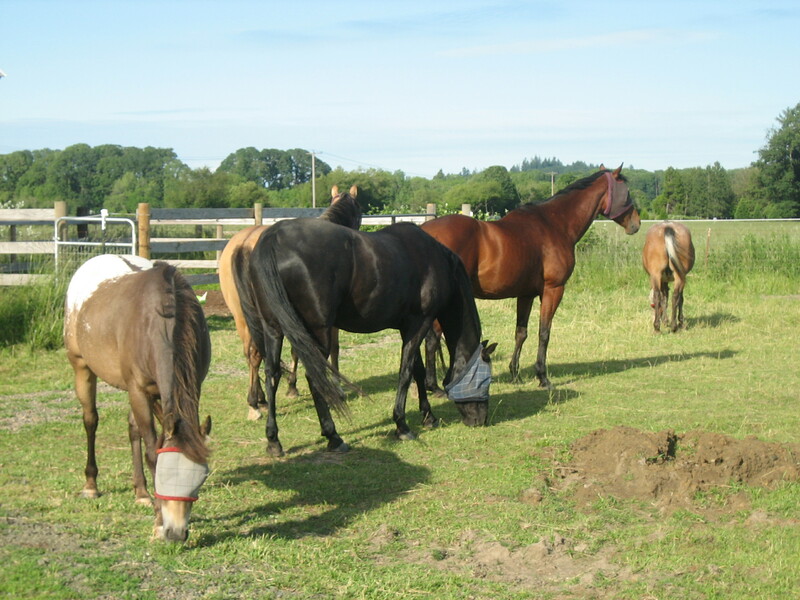 Last but certainly not least we tromped over to the other paddock where Cochise rules with an iron hoof. 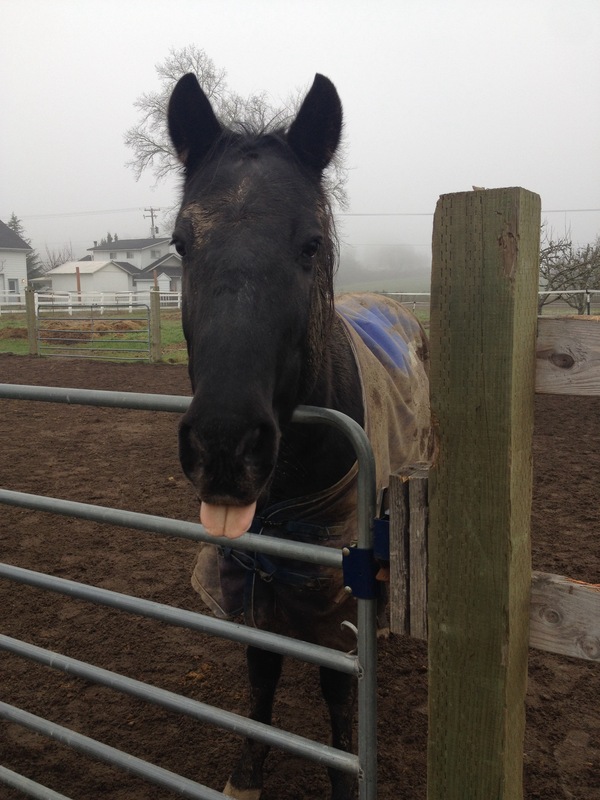 Mr. Mudball got at least four peppermints. 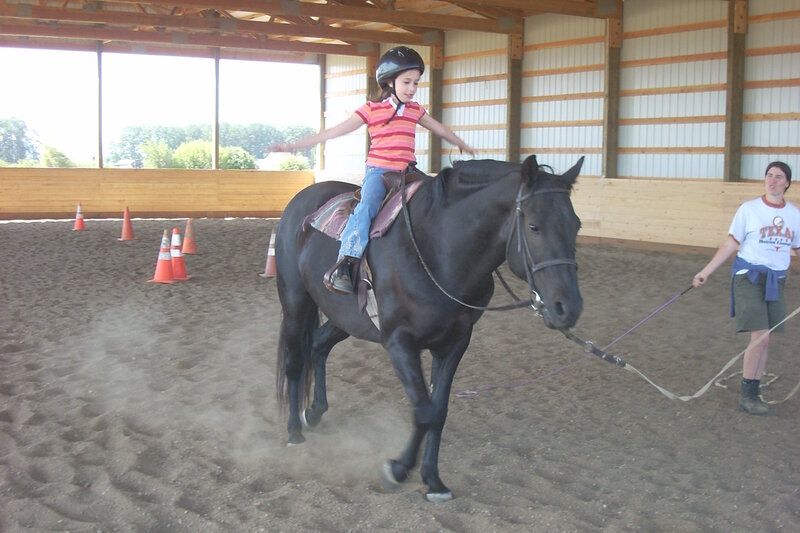 Robyn and I had an amazing lesson this morning- Cochise was full of energy and perfectly behaved. My last ride on him was less than positive so it was really nice to get such a great one. We spent part of the time working on shoulder-ins (which he’s never done before) and then had a blast running a gymnastic line. Just a stupendous, fantastic ride. Cochise and Emily grazed on the lawn while I emptied the trailer. I’ve been working on models almost every day, but it’s not the most blog worthy stuff- lots of nit picky prepping. Ah prepping, the necessary evil. And since I don’t have much to blog about during that, I’ll continue posting eye candy from NW Congress! I’m definitely not the only one who loves painting and collecting the little guys. Check out these lovelies from the Custom Mini division this year. 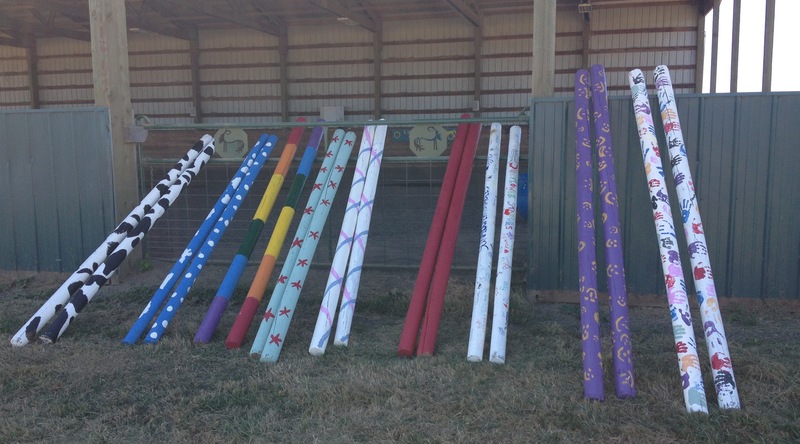 As I mentioned in a previous jumping-themed post, one of my goals this summer was to finally paint all the barn’s jump poles. Actually, this has been a goal since last summer, but it never materialized. So I was determined it would happen this year. And it did! 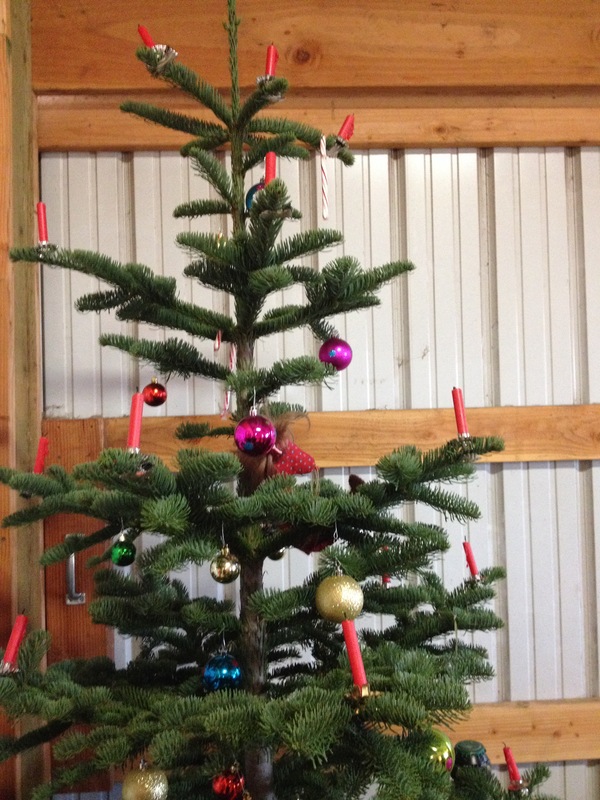 At the yearly barn picture I set up poles and paint for everyone. The parents were almost more into it than the kids (who were also distracted by sack races, water balloons, and apple bobbing for both humans and horses). Left to right: cows, clouds, rainbow, starfish or flowers, ribbons/birthday party/maypole, red, signatures, purple with smileys, and handprints. We can set up some great, colorful courses now. Foreground: cow jump. Background: actual cows. They seemed keen on watching us jump. Robyn jumping the rainbow starfish oxer. I love our new poles. 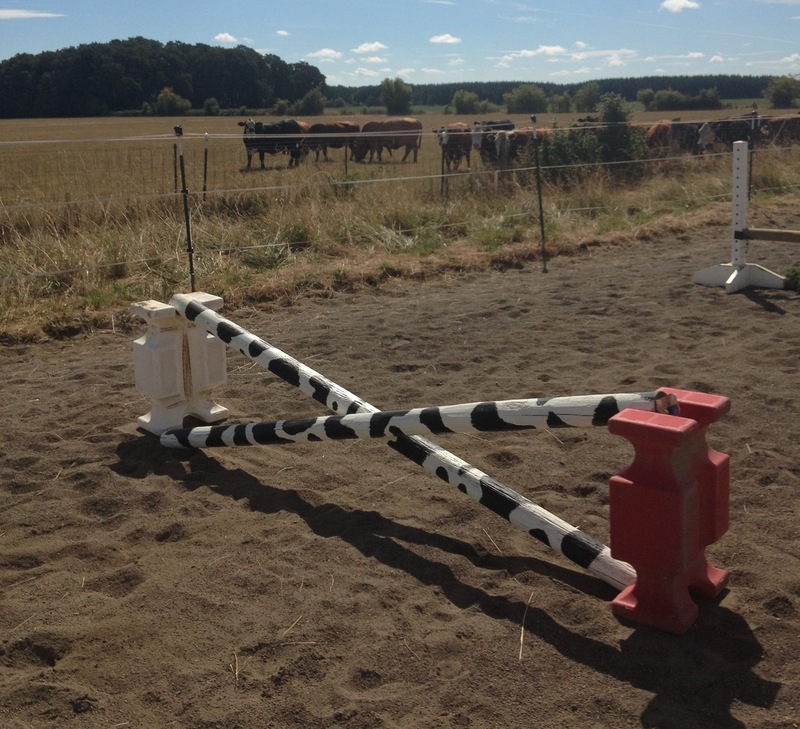 They’re super fun for everyone, from the kids trotting over poles to Robyn and I making oxers. 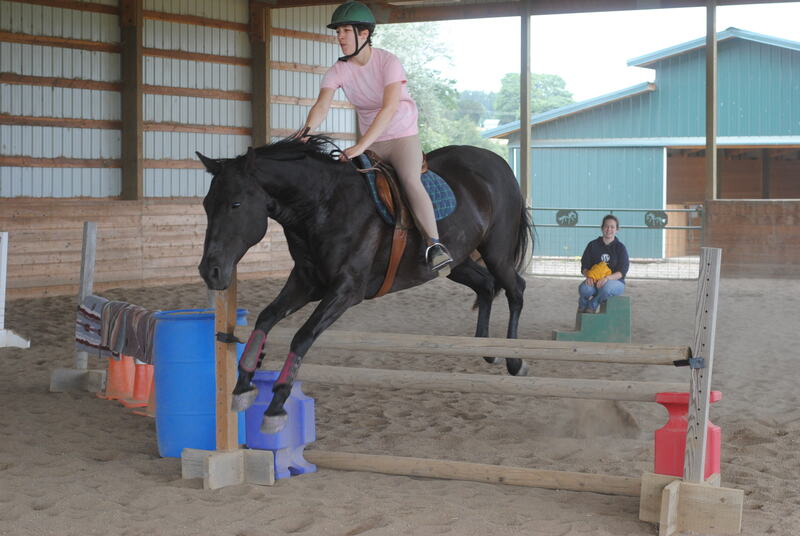 Cochise and I enjoyed a fun jump session this Friday. In my never ending quest to desensitize him, I added some fun goodies to this cowprint/ribbon jump. You want me to jump what? Of course, Cochise being Cochise, he chose to have no problem with that jump and then throw a mini tantrum over the ol’ familiar barrels. That’s my boy! I don’t do Wordless Wednesdays as religiously as Braymere does. In fact, this might be my first. But I’m tired and done with staring at a screen, so here goes. 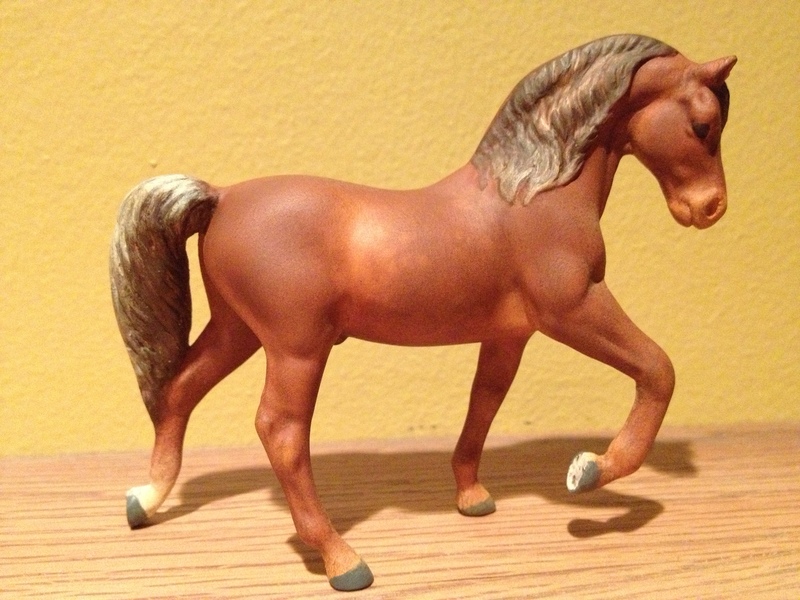 The MEPSA ponies are coming along. This is what they looked like on Monday. The Morgan in particular needs some serious work. I mean, orange much? And here is a silly, short video of Cochise. I took it from his back while we were cooling out last Wednesday. I had my first taste of cross-country jumping last weekend and I’m itching to do more. Unfortunately the rain here has closed the course. 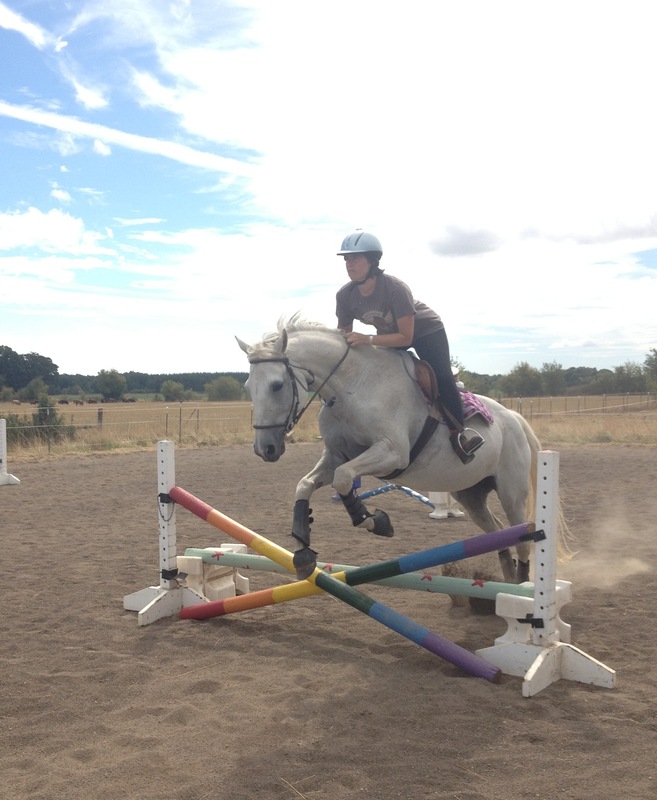 But I nonetheless had a lovely ride yesterday, and managed to make some weird new jumps to scare Cochise with. I also made a liverpool, which I thought we’d conquered the other day. But apparently this liverpool had a HORSE-EATING MONSTER living inside of it. So that was fun. I also made this rather inspired (if I do say so myself) pumpkin jump. I was at a garage sale a few weekends ago and this woman had a ton of these. 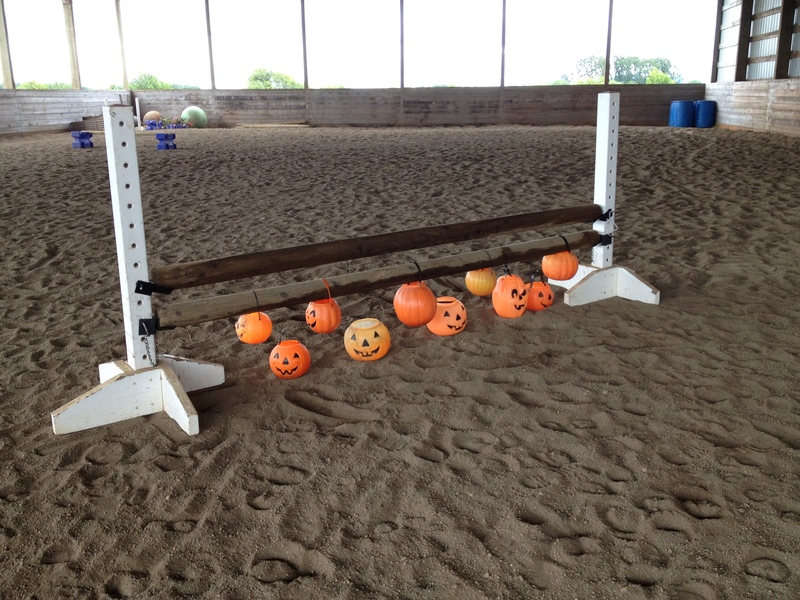 I’d seen people use little toy pumpkins as model horse props with jumping and trail set ups, and I thought well, why not extrapolate that out to real horses? So I’ve been doodling courses on scratch paper and morosely watching the rain, thinking about the muddy cross country course. But at least there’s lots of sweet videos online. So I’ve been watching a lot of videos from past Three Day Events like Burghley and Rolex. I also watched this interesting three part series on finding your distance. Meanwhile, I’m putting the first layers of color on the two MEPSA horses and working to finish up the Saddlebred’s remaking before I add a new mane and tail. 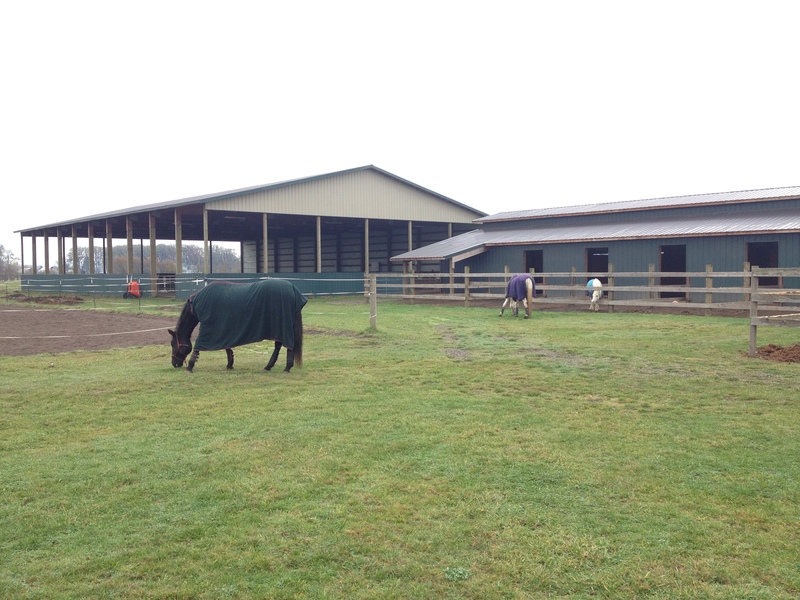 I was so excited to head out to the barn this weekend for the first time since getting back from England. It was a wonderfully sunny weekend. On Sunday morning the ponies were enjoying a lovely nap in the sun. We took advantage of the summery evening to build two jump fillers. As always, I’m a cheapskate, and wanted to make these with as little expense as possible. I’m happy to report that the fake brush, pallet, and bench (?) parts were all free from road sides or Craigslist. Robyn’s dad graciously lent us his tools, expertise, and a bit of scrap lumber to finish them off. The pallet idea came from this sweet website. And those are only the beginning! I’ve got the materials for several more jumps, including a couple of flower boxes! Of course, having made these new jumps we had to try them out! 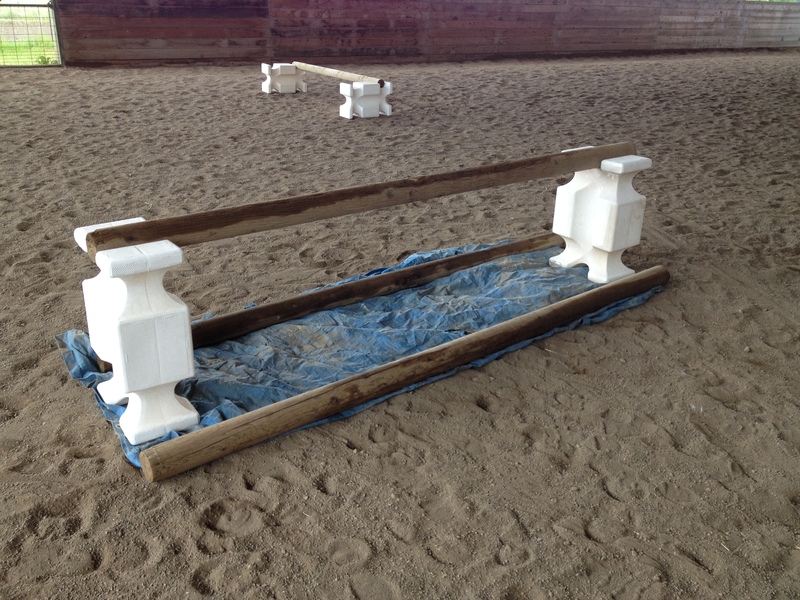 We set up a course of exciting scary things with these, a faux liverpool (made with a tarp), a skinny made from barrels, and a blanket jump (vertical + horse blanket = scary looking jump). I was so proud of Cochise- he went over every single one with minimal fuss, and was clearly enjoying himself by the end. I was especially proud that he went over the liverpool- tarps have long been his worst enemy, despite many attempts to desensitize him. 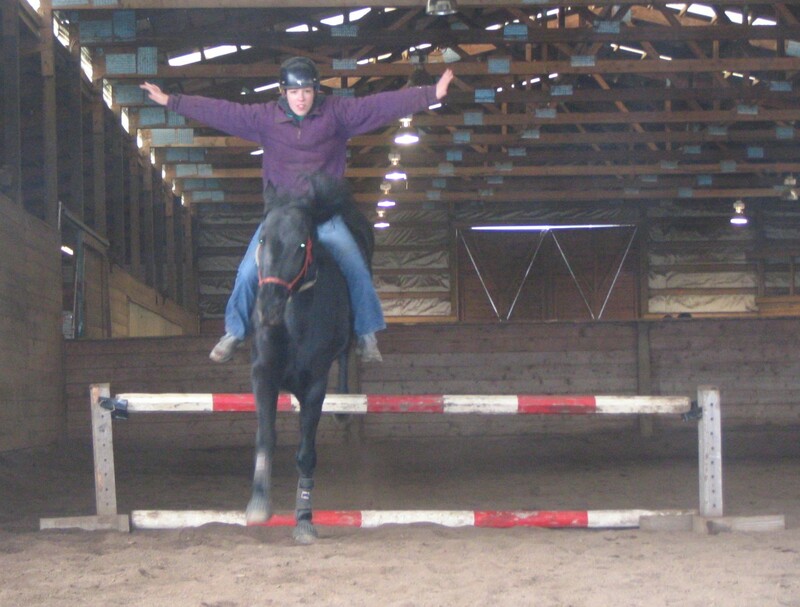 I have lots more jumping fun coming up- a lesson on Wednesday and then our show (gulp!) on Sunday. 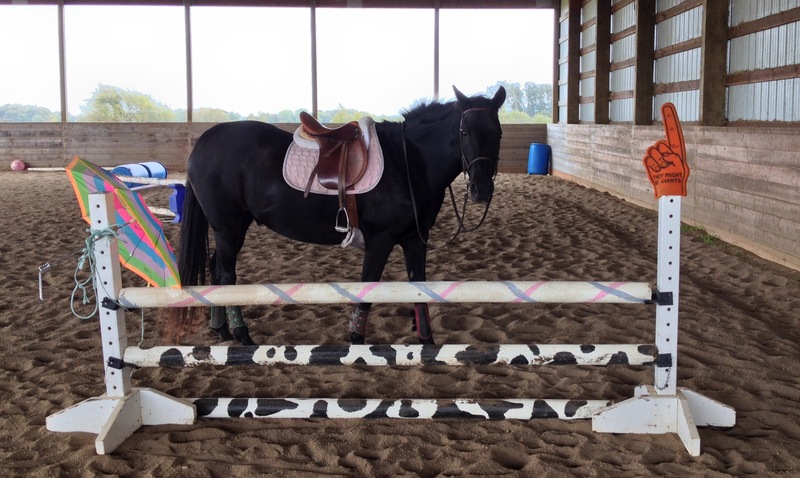 Cochise and I have never made it around a jumping course at a show in our 10+ years together, but maybe this time we can…. Meanwhile, I’m itching to get working on models. I wish I had some prepped so I could get painting. 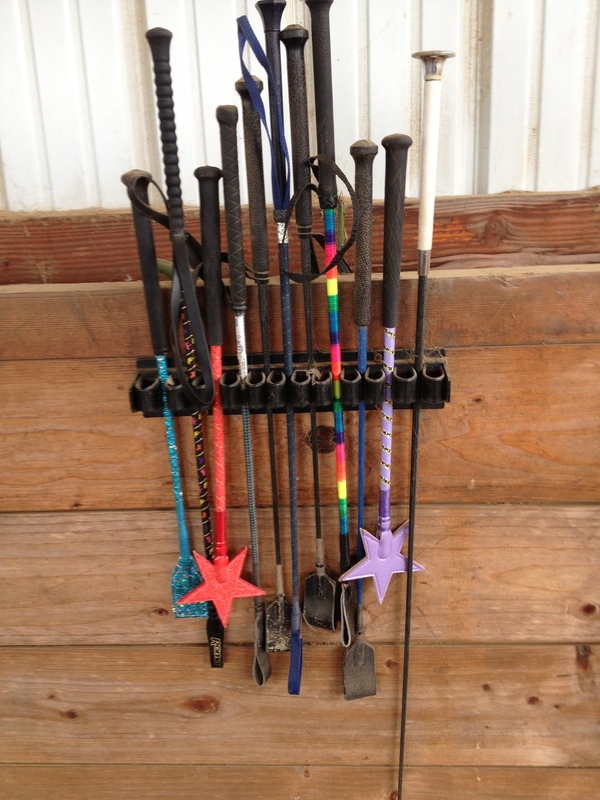 I’ve also got a bunch of ideas for tack to make. The only problem is I have a repetitive movement injury in my elbow which may make things like prepping and skivving painful and/or impossible. Fingers crossed!